Mumbai, February 8, 2019: ICL Payyade unleashed a second half goal blitz and hit India Culture League ‘A’ for a six at the Neville D’Souza Ground on Friday. Nico and Manish Shetty scored twice and Michael Idewele and Asadul Khan found the net in the 6-1 rout. Rohan D’Cunha’s 40th-minute goal was the sole positive for ICL ‘A’. Payyade dominated from start to finish in what was effectively a one-sided contest. Idewele was the lynchpin in attack as he tormented ICL ‘A’ with his pace and vision. Nico and Idewele combined to form a lethal partnership as they created numerous goalscoring chances. Payyade drew first blood as Shetty’s deflected shot went in in the 21st minute. The ICL ‘A’ defence creaked at the seams! D’Cunha took advantage of a goalkeeping error and equalized. Nico scored in the 47th minute and restored Payyade’s lead to burst the bubble of optimism. The first half was 2-1 to Payyade. Payyade unleashed a goal blitz as Idewele and Nico scored in the 50th and 52 minutes respectively. As Shetty made it 5-1 in the 66th minute…Payyade had bulldozed through the opposition! 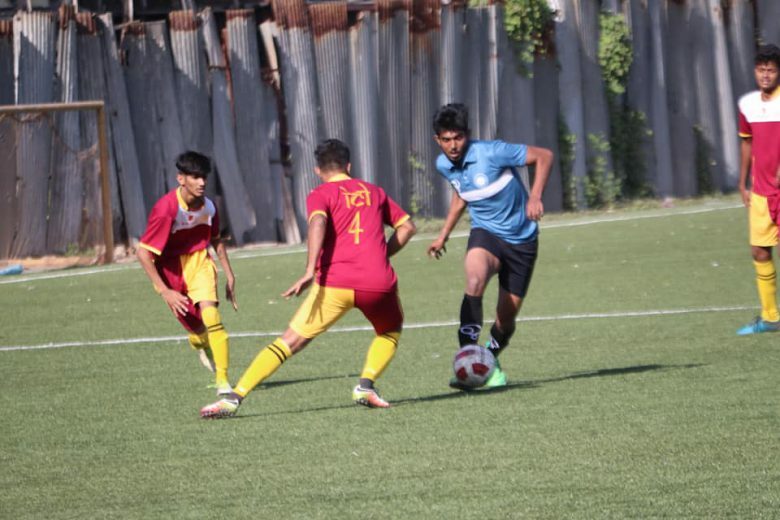 Bishow Thapa impressed with quicksilver dribbling and was a joy to watch. As the Payyade goalkeeper cleared Kunal Mane’s lob off the line…ICL ‘A’ knew it just wasn’t their day! Asadul Khan slammed home a goal in the 89th minute to put the icing on the cake!